WATCH & PLAY: What if you forgot what happened to you? How would you act? I don't know if you feel it but I do. The other day my body actually forgot what it feels like to be rejected. I dont know if you feel it but I do. 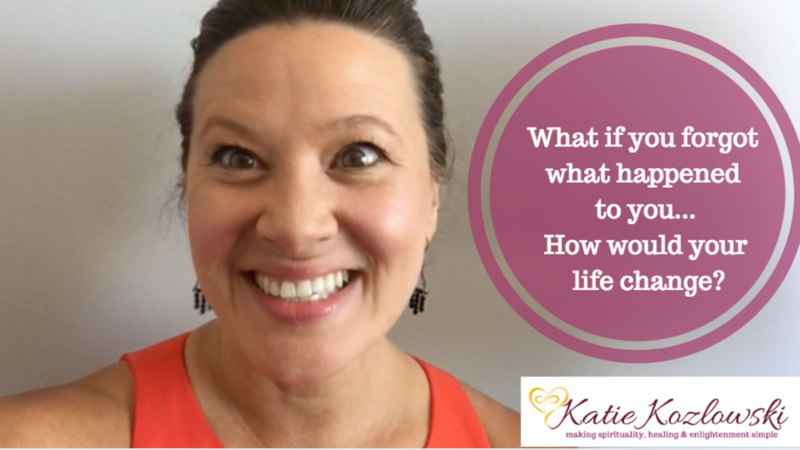 what if it really is as new and as clean as you feel--- and would you be/feel/act differently? And so I chose in that moment to believe the feeling in my soul and to trust that that feeling inside that can't remember what once was... Is 100% true and real. Loving this? Come check out the full video and leave a comment on the blog! Ps: Curious in how you can work with me? Or if you want to talk 1:1, set up a chat with me here! what if you forgot about that man who hurt you? what if you forgot that you spent years trying to make it in New York? And I said: "I'd live life without knowing hurt exists. I'd open my heart and share my self as the embodiment of love that I am and I'd no longer expect to be rejected. I'd stop lacking trust and relax into life in a way that is more juicy and enjoyable...."
So what if you forgot it happened to you too? How might your life be different? leave a comment on the blog below and let's set this shift into motion! Ps: Curious how you can work with me? Im teaching TWO LIVE workshops on the east coast in June and you’re invited! Come see me in Rhode Island at Fairy Haven and Connecticut at the Angel Cooperative CHECK IT OUT! Want more like this? Hop on my list and join me in Breaking Free! You'll hear from me once a week and always with positive, uplifting goodies! Dig this stuff? Hop on my list and get weekly insights, goodies and uplifting messages to fill you up with goodness as you let go of the rest! Join my weekly Love Blasts & Breaking Free Daily! Yes, I want to want to receive your weekly emails!